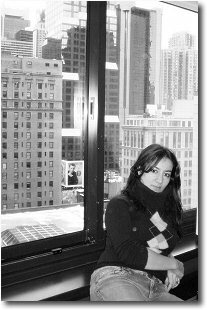 Award winning 2nd prize at 2005 Montreux Jazz Festival Voice Competition - Performer at 2006 IAJE Conference in New York and at Jazz at the Lincoln Center Dizzy's Club. Born in Milan, approached music at seven, attending the Giuseppe Verdi Conservatory where she studied violin and piano and achieved the licence of theory and harmony with the maximum score. 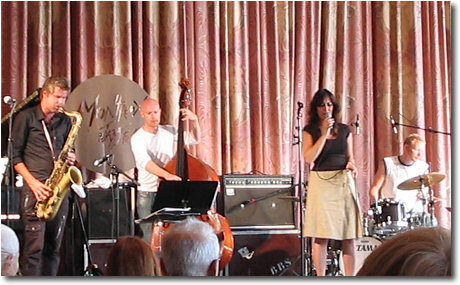 In 1995 she started studying jazz singing with Roberta Gambarini at "Accademia Internazionale della Musica" in Milan directed by Enrico Intra and Franco Cerri obtaining the diploma in 1999. In 2000 she obtained the scholarship in order to attend the Master Class held by Tiziana Ghiglioni. 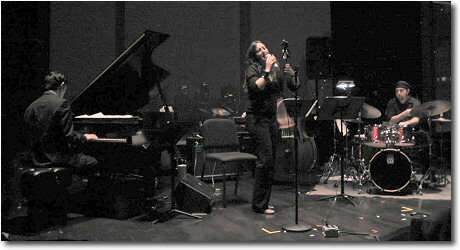 She specialized attending stages of vocal improvisation with Rachel Gould. 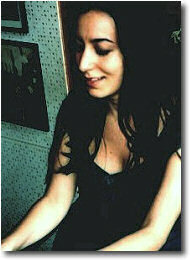 In 2002 she achieved European diploma "F.N.E.I.J." 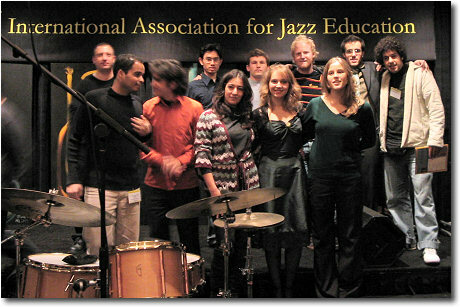 (Fèdèration Nationale des Ecoles d' Influence Jazz et des Musiques Actuelles) in France, valid for the instruction of jazz and modern music in all Europe. Collaborations include some of the most renowned Italian and international musicians such as: Enrico Intra, Franco Cerri, Lucio Terzano, Tony Arco, Rossano Sportiello, Nicola Muresu, Mario Rusca, Attilio Zanchi, Gianni Cazzola, Marco Micheli, Stefano Bagnoli, Roberto Tarenzi, Guido Manusardi, Gianni Bedori, Civica Jazz Band directed by Enrico Intra, Lafayette Harris, Nat Su, Jean Charles Richard, James Cammack (bassist with Ahmad Jamal), Marco Panascia, Anthony Pinciotti. She performed in festivals and venues such as: Nocturnes in Villa, Iseo Jazz, Festival jazz of Lucca, "Notes and Stars" to Palace Bagatti Valsecchi in Milano, Siracusa Jazz Festival, Festival di Tarcento (Udine), Octagon in Jazz (Milan), Jazz Matinèe (Mendrisio). She sang in: "Mass" by Leonard Bernstein at the Theatre A.Bonci in Cesena, "Colloquio con Malcolm X" of Giorgio Gaslini, "The Second Sacred Concert" by Duke Ellington. She performed at: Blue Note Milano, Giuseppe Verdi Conservatory in Milano, Villa Litta, Piccolo Teatro of Milan, Teatro delle Erbe, Roman Theatre of Verona, Roman Amphitheater of Cagliari, Sferisterio of Macerata, Stadio dei Marmi of Rome, Auditorium S.Gottardo of Milan. 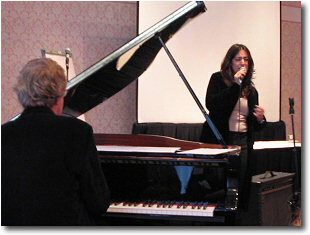 Since 1999 she teaches jazz singing in several public schools of music in Milan, and since 2001 at the Conservatory G. Verdi of Milan and at the M.A.S. (Music, Arts and Show) of Milan, the biggest show academy in Europe.